Mujitsu and Tairaku's Shakuhachi BBQ / Do materials used affect sound? » Do materials used affect sound? Do materials used affect sound? I am going to reopen and wade into this topic again, so get your hip-waders on! As you know, my friend Colyn Peterson is now making and selling wooden shakuhachi. This has given those of us in Omaha the chance to play several flutes that are virtually identical in every aspect except the type of wood used in construction. The verdict is this: About 90% to 95% of the tonal qualities of the sound produced by any given shakuhachi is due to bore profile and the player. A very small percentage ( say 2% or so ) is due to the construction of the utaguchi and area surrounding the utaguchi. The rest of the variation is due to the material used, in this case the different kinds of wood used. The harder and more dense the wood, the brighter the sound, this has been true with several different players also. Conversely the softer and less dense the wood the warmer and darker the sound. Re: Do materials used affect sound? I found some Irish flutes by the same maker where the rosewood definitely sounded better to me than the maple. But, the maker was saying the material didn't make any difference in the sound, maybe just in an attempt to sell me the lower price maple that he for some reason had more of (there was only one more rosewood and that was reserved for someone), or maybe it was my imagination. I have tried four david brown 1.8's side by side, different woods and there were variations in tone. I think a lot of arguments about this could be avoided if people would distinguish between "what X sounds like" (objective) and "how I hear X" (subjective), and only use the former when discussing actual objective evidence -- like that guy who used a bunch of otherwise-identical wooden and metal flutes on a spindle in the dark. It depends who is listening, and how well. For me the material definitely effects the sound of the overall timbre of a flute. in the material they were made of, and I mean differed in NO other way. I think material doesn't matter. I have had plenty of broads made out of flesh and bones. But recently Ed loaned me one made out of inflatable rubber............and I liked her just as much! Come on, man, there was no disrespect intended. I'm just trying to nudge the discussion towards HOW people experience the difference (subjective experience) rather than "There is a difference; if you are a good enough listener you can hear it, end of story." The latter might even be true (though as Ed observes it would be hard to prove rigorously), but the former makes for a more interesting thread. Whether any of this has any scientific basis, I don't know. I've read a few explanations of why only the air column matters, and they do make sense; still, I've yet to be convinced that the differences in material can be completely abstracted away in the case of shakuhachi in particular. Could just be my insufficient understanding of acoustics; maybe someone will drop some layperson's-terms science on me in this thread to set me straight. That would be great. So, tell us more about your experience as a listener and composer (you must be able to articulate some interesting things about timbre, right?) that "wood has this sound, bamboo has this type of sound, plastic another." What sounds are you hearing? I think of science as a means of discovery that can provide all of the answers--eventually. But I do doubt that, try as they might, any scientist can be certain they have taken every possible variable and parameter into consideration and therefore be justified in making 100% absolute statements. Absolute statements and dogma are aspects of faith, not science. It is not deluded to suspect or even to believe that there is more to be discovered and to keep an open mind; in fact, it is the very essence of being scientific. We all know that scientific "facts" have been proven wrong by science--or understood later to be right, but with some missing elements that change the equation. I work with science and math every day, but I am also an intuitive person. I have made thousands of wooden flutes out of 50 to 60 different kinds of wood. A large enough sample that I feel confident in saying that I hear a difference in materials. And folks, these were not hand shaped bores, rather machined to within thousandths of an inch. The difference is not always evident in woods with similar densities. With that I accept that it may be only that we think we hear or that the tactile sensation of playing a flute adds enough to the experience to think we hear a difference. I'm talking about the difference between ebony and bamboo vs. cedar & basswood. This has never before come into the equation to my knowledge with the shakuhachi. There is an entire subtle continuum in between that is not necessarily pronounced until you see the extremes. From where I come from hardwoods and bamboo, plastics and metal is too narrow of a scope to justifiably decide--absolutely. Regardless, even if I am wrong, what comes to the surface that is relevant for me is that for 12 years I have been watching more people choose, when side by side, softwoods over hardwoods for the sound. Perhaps though it is just the feel that makes them think it is the sound, though I don't think so. Granted that this was the NAF and that some did prefer the hardwood. Shakuhachi could be an entirely different animal though? So, I thought I would do some experiments and compare the hardwood shakuhachi to the softwood now that I had the means. I see the same pattern emerging, at least with my preferences. I hear what madoherty hears. Softer woods sound more like jinashi to me, harder like jiari. I like both, but I lean towards the jinashi, especially when it behaves like a jiari. Though images may appear on the surface of a mirror with clarity, they are neither in the mirror, nor sticking to its surface. Aye, that's when the rubber meets the load. If you got her from Ed, I hope you washed her first. First, I really don't think someone who is playing several different flutes would be able to really assess the sound they are making on each flute objectively, or even subjectively with any kind of nod to abjectivity. That is like scientific method 101, if we want to be scientific about it, even if subjective. 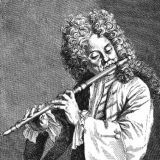 I think that the listener should do a "blind" listen, not knowing what flutes would be played in what order or even when flutes were switched. If they could indentify different sounds and materials and even when the same material was being played again, I'd be more prone to accept their judgement based on their accute listening ability. However, I don't think this statement; "There is a difference; if you are a good enough listener you can hear it, end of story" is much different than saying, "If an electronic analytic receiver cannot distinguish between different materials then neither can you really, end of story." Is the famous flute that was the template for the Yuu still around? I wonder what it would sound like next to a Yuu. Maybe this has already been done. Maybe nobody cares enough to do it. My flute is bamboo, and it is the only one that I can afford. So, I am focusing on making it sound the best, rather than looking for the matieral that sounds the best. Considering the hand made nature of many Shakuhachi, it seems that developing a relationship with the flute is a huge variable. I know my flute sounds different now than when I first picked it up, and after playing it a few years now, I doubt that any of my old flutes would sound like they did when I was "at my peak" with them. I guess I am more monogamous that way. First, it makes sense that different materials will sound differently. Air blowing across an object will set up harmonic vibrations in said object ( think Tacoma Narrows Bridge footage from a few decades ago ), in the shakuhachi world we experience this as chikuin. These harmonics will feed back into the vibrating air column thus changing said air vibration -- sound is affected. This would be a much less subjective way to compare various Shin Sei shakuhachi of various materials which are, as I originally mentioned, virtually identical in all other ways. Thought this conversation would be fun! UGH, where is Toby when we need him?!? Actually no. Perhaps in a gigantic structure like the Tacoma Narrows bridge, in which a very LONG wave length was induced, but not in wind instruments. Toby, OUR resident sound engineer, physicist, and sometime shakuhachi maker, has been all through this several times before. The reason he's not here now is probably because he is sick and tired of beating this VERY dead horse. And if by 'sound engineer', you mean someone who works in a recording studio, that does not even begin to qualify them as expert in the physical acoustics of wind instruments. Whole different world. Well, according to Benade, in 1976, this same argument had been bitterly debated for over 150 years. I'm guessing the reason we are beating the horse again is because it is the 185th anniversary of doing so. Hide your horses people. They are not safe. Oh wait, they're dead, never mind. Benade also states that "if the walls are thick enough not to vibrate and if they are smooth and nonporous, experiment and theory agree that switching materials will make changes in the damping that are generally less than the two-percent change that most musicians are able to detect." I think he is saying here that most people cannot hear them, not that none can. Most does not mean all. It's really all just a matter of taste. I recall reading a discussion on this in this forum. What I took away from that was the idea that perhaps the material does not make a difference if everything were to be the same, but in practice not everything can be the same. Even for identical flutes made out of different materials, the person playing the flute may react differently due to his/her perception of the material, so there will actually be a difference in the sound. OK let's calm down with the histrionics and insults. It's pretty early in the new year to get off on that kind of tangent. 1.The bore geometry changes: if the shape of the container changes, it causes the standing wave to form differently. In fact, changes of as little as .01 millimeter in the bore diameter can have a major effect on the sound, via mechanisms that I don't want to get into here unless you insist and know some science. 2. The bore smoothness changes: this is a big factor. Air molecules near the walls are slowed down and much energy dissipates as heat to thermal and viscous losses at the walls. In fact, 99% of the energy input into a woodwind instrument is lost at the walls, only 1% actually makes it as sound energy. The rougher the surface of the walls, the more energy is lost, and the losses are frequency dependent. Wood has micropores, and it has been shown that a wooden flute--even with smooth walls--can lose 2 dB in comparison to a similar metal flute at certain frequencies. Different woods have different micropore and grain structures, and this can certainly lead to differences in response and timbre in otherwise identical flutes. 3: Edges are different: edges are a major source of acoustic losses to turbulence, and Arthur Benade, probably the foremost musical acoustician of the 20th century, said that small differences in edges of tone holes, etc, is the major determinant of differences in otherwise identical instruments. He mentions a case where 10 seconds of wear on the outer edge of the thumb hole of a new clarinet caused noticeable differences in response. This man designed an improved and modernized clarinet, so I believe what would otherwise seem an absurd claim. There is a final consideration, and that is player expectation. People are simply not objective, and often experience what they believe to be true. There is a famous experiment with three flutes in different materials. Most of the players (many of them pros) found clear and consistent differences between the flutes in silver, copper and wood, and could clearly describe the differences in sound. Then the flutes were put on a rotating spindle in the dark, and not a single one of the players could tell them apart, generally to their great surprise. Galway is famous for playing a concrete flute behind a curtain, and no one can tell the difference between it and his sliver flute. With so many variables in the mix, it is literally impossible to say with any certainty that materials cause any difference. 150 years of careful investigation suggest that if the construction, bore dimensions and smoothness are identical, material makes not a whit of difference. "A fable, the more remarkable since it is always discussed, is that the material of which a wind instrument is made has an influence upon the sound of same. That this is not so rests upon incontrovertible acoustical laws, about which there should be absolutely no more discussion." Just curious, for those of you who have tried or owned Levinson shakuhachi that are precision cast with the same materials, shouldn't all of them that are the same key sound exactly the same since the bores are identical? ...shouldn't all of them that are the same key sound exactly the same since the bores are identical? But they are NOT identical; they have been worked, by Monty, after casting. It's not a cookie-cutter process. So what we need to do is get one of the wooden shakuhachi makers to turn a bunch of shakuhachi out of different woods, to absolutely identical specifications (including "not hand shaped bores, rather machined to within thousandths of an inch") except for type of wood, then put them on a spindle in the dark and do a double-blind replication of the flute experiment. FOR SCIENCE. Are the utaguchi machined to that kind of tolerance? It seems to me that a few thousandths of an inch on an utaguchi could dramatically change the instruments playability. That could make or break the experiment. For perspective, a typical hair is about 4 thousandths of an inch diameter. Okay, so we do it with multiple instances of each type of wood, aggregate the results by wood type, and suppose that the utaguchi variation averages out to leave only the wood-type variation. That is a good point. Not only is the smoothness of natural materials going to vary, but the way the material responds to being cut, drilled or formed will certainly add certain dimensional differences. A great factor in all this is how the flute feels to the performer. The concept of how a flute "sounds" or "responds" is inexplicably intertwined with a player's feeling about it. It is damn near impossible to separate the actual sound from the player's feeling about the sound. Both psychologically and even physiologically. There was an experiment done several years ago in which some test subjects were hooked up to an fMRI machine (to measure brain activity in real time) and given two different wines to drink. One was a decent but ordinary table wine, the other a rare and costly vintage. The subjects reported enjoying the rare vintage more, and the brain scans showed more activity in the pleasure centers of their brains--they actually were enjoying it more. The punch line is that the wines were exactly the same. The angle of my utaguchi are always the same. The depth is often within three thousandths of an inch sometimes 5. The inner part which meets the bore is hand shaped though. This alone throws in too much potential variation for those parameters. The bores are reamed to within thousandths, but the additional problem with this experiment in a small sample would be that different woods mill differently and give different textures. This alone seems to point to the difference, perhaps. The large sample that I spoke on before, of observations over thousands of NAFs, did not have this texture difference though. A high speed cutting tool gives a much cleaner result than a reamer on a softwood. I am additionally curious why the majority of people would repeatedly choose the softwood in this example when the hardwood was often prettier and could take a hit without getting a big dent in it. This was not limited to cedar which is traditional and would explain much, but also extended to basswood, butternut, aspen, spruce, fir, alder and other softwoods.... Point is that people are picking up on something and I want to know what it is, and why, and whether or not this could apply to the shakuhachi. Is it known whether or not Arthur Benade actually lists the woods that he tried? My source says that he tried "various" kinds. I'm sorry, but that is not quite good enough for me. Most likely it was boxwood to blackwood with a few others that are traditionally used for wind instruments. In most Westerner's mindsets and experiments, various includes anything but softwoods for wind instruments as they are quite tricky to machine and do not lend themselves to mounting levers and pads and such. Generally they are excluded for these reasons. An open tone hole flute is the perfect instrument for this type of material. With sharp tools, Eastern Red Cedar yields the best hope to actually do an experiment as it cuts fairly cleanly. In a real world application, different woods produce different textures. Unless someone takes the time to fill and polish them to an identical mirror finish, the end result, at least because of this texture, does make a difference. The character that comes from it though is not undesirable, and I would question the need to do so. In "Kinko Shakuhachi, One Maker's Approach," Yoneda Chikamitsu says that, "when the bamboo responds correctly, it is finished." This seemingly obvious statement is made because most makers will work the bore to a glassy-smooth finish, filling up any dips and holes which remain in the bore. According to Mr. Yoneda, this practice came about because makers found they could get more money for an instrument with a shiny bore. Mr Yoneda's teacher believed that the shakuhachi should show a certain rusticity--an unpretentiousness in keeping the instrument in the state it happened to be when the sound was released." If I want a bright tone and a smooth mirror finish, I will use a hardwood that machines cleanly. I often do that, but I also like the variety of character that I am hearing and feeling from all of the different woods--many never before used to make tapered bore shakuhachi. Is it traditional, no. Is it interesting, very. Pardon my curiosity. I'll tell you what. I will sharpen my reamers and make two flutes as identical as possible. One out of a dense clean cutting hardwood and another out of Eastern Red Cedar taking care to have shiny and little or no bore texture. Anyone who wants to sample them and do a blind taste test may do so just by asking. I will mail them to the first one that asks (U.S. please), no strings attached spare shipping them to the next curious individual. The sample may not be large, but the number of individuals responding to it could be.